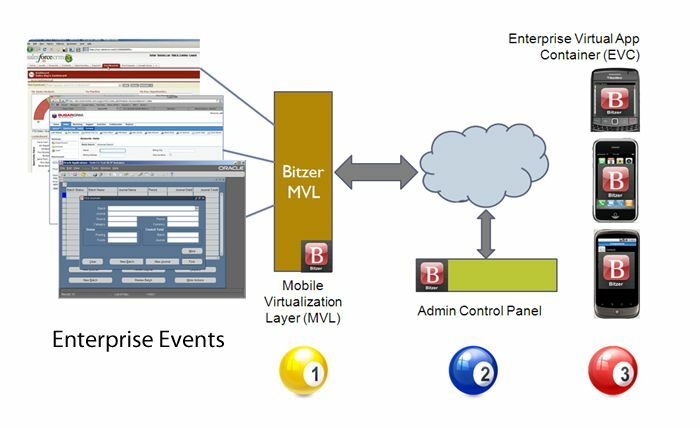 SAN JOSE: Bitzer Mobile Inc., a software technology solution provider that simplifies enterprise application access on mobile devices, today announced the immediate availability of the new Enterprise Virtualized Mobility solution (EVM). 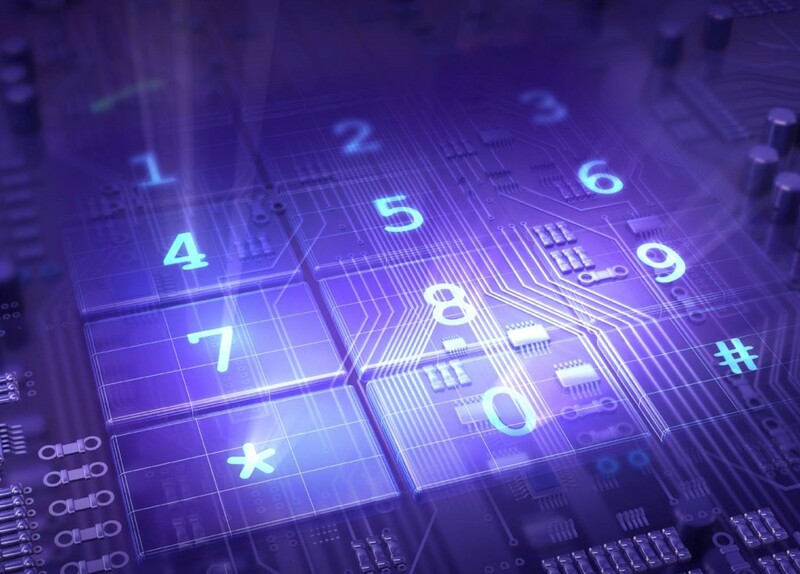 EVM is a focused solution that isolates corporate data from personal data on employee owned mobile devices and enables secure remote access of enterprise applications on the same devices using multi-platform native mobile apps. At the heart of EVM is a “virtual container” that is deployed on mobile devices as a native app. This virtual container is controlled by the IT personnel in an enterprise to deliver the right data and access to the right mobile employee on a device of his or her choosing. This addresses the demand of consumerization of the enterprise where an employee’s personal mobile device is often used to access corporate data and decision making information. 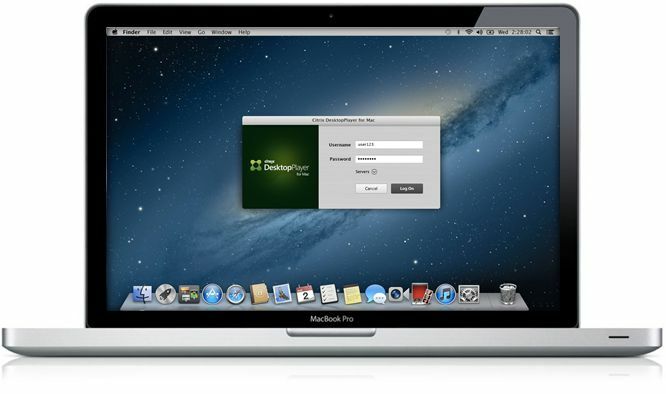 Simple Integration Process – Bitzer’s Mobile Virtualization Layer (MVL) connects to existing remote access infrastructure to provide mobile data transport, offline synchronization, native views, graphs and user authentication services to multiple mobile devices. Furthermore MVL enables access to multiple enterprise applications from a single icon on mobile devices. MVLs can be deployed on-premise or in-the-cloud. True Native Applications – Bitzer’s patent pending Enterprise Virtual App Container (EVC) is deployed as a native mobile app on mobile devices such as iPhone, iPad, Blackberry, Windows and Android. EVC provides remote access to enterprise applications with a rich experience using the device’s native interface, screen-size, graphics and interaction style. Full IT Admin Control –The Admin Control Panel centrally manages all mobile users and devices by managing the EVC. This central control panel allows IT managers to provision users, enforce authentication and security policies, apply geo fencing, provide on-the-fly provisioning of apps, remotely wipe and lock apps and record usage stats and audit logs. Bitzer Enterprise Virtual App Containers (EVC) are free to download for development and available today from the iPhone App store, Android Market and BlackBerry App World. Customer branded EVC user licenses with administrator control panel start at $5000 per year for fifty users with discounts for larger user licenses. MVL development is open and free for use by do-it-yourself IT departments, system integrators and independent developers. For more information visit: http://www.bitzermobile.com. Bitzer Mobile, Inc. is a provider of infrastructure software for enterprises to use on-premise or as part of cloud computing environments. CIOs and IT managers use Bitzer to securely extend enterprise application access on mobile devices and support consumerization by allowing employees to use their personally purchased device in the enterprise. Bitzer technology has been under development since mid- 2009. Bitzer is located in Silicon Valley, California.